If you ever suspect that someone might be bugging your cell phone and film your private life unlawfully, it is indeed the time that you do something to protect yourself. With the rapid development of spy gadget technology, it is very likely that we being are exposed to the unlawful intrusion in office, car, or even at home. 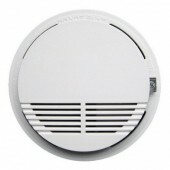 The multifunction wireless signal bug camera lens detector is one of the latest units designed to secure our life. 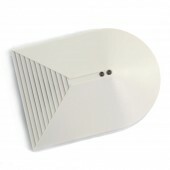 The multifunctional detector can work for a variety of signal detections including GSM, WIFI, Bluetooth, FM, VHF, UHF, 900/1200/2400 wireless audio and video transmission frequency. The detectable RF frequency ranges from 1MHz to 6.5GHz. The detector provides practical and user-friendly solution to spy pinhole camera, GSM bug, GPS tracker, Bluetooth gadgets and so on. 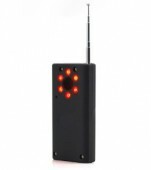 There is LED indication of signal strength to facilitate the detection. 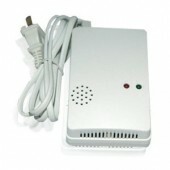 It is of small size and powered by rechargeable built-in battery. It can work continuously up to 6 hours. 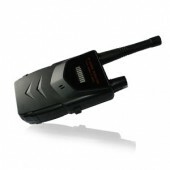 Thus the unit is high flexible to use with high portability and great functions combined. 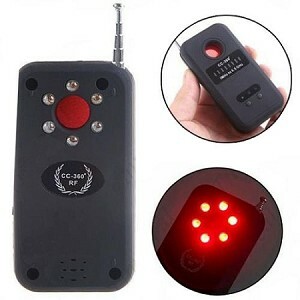 By carry out regular spy gadget sweeping with the detector in your daily occasion, you can be secured from the possibility that anyone videotaping, eavesdropping your private details. Very fast shipment and easy operation. Just the unit i want. -Sound quality is quite good for a device this cheap. -sensitivity is good. Not the best, but good. Works great. GREAT VALUE !!! Highly recommended.